Takashi Miike’s ‘Detective Story’ is an entertaining and impressively well-made genre offering, one that expertly blends mystery, comedy and horror. Raita Kazama is a down to his luck detective. During a night of drinking with his new neighbor, who also carries the name Raita, he receives a visit from a young woman who wants his help. Kazama, who at the time happens to be heavily intoxicated, tells her to come over the next morning. When he wakes up, he discovers that not only the woman has been murdered but that he is also a prime suspect in the case. What follows is a series of bizarre murders that Raita decides to investigate with the help of his neighbor. The plot may sound a bit overly familiar and that’s probably because it is and the fact that a bloody genre film comments on the violent nature of art is intriguing but ultimately proves to be incomplete. On top of that, most of the characters are one dimensional and the actors portraying them never successfully manage to overcome this lack of depth. However, the character of Kazama is so well-developed that you have the temptation to forgive the script’s failures. But a well-written character wouldn’t mean much without the right actor at the wheel. Luckily, Kazuya Nakayama’ portrayal of Raita Kazama is fascinating. Nakayama perfectly maneuvers between drama and comedy, expertly balancing his character’s tragicomic aspects. This exemplary performance manages to overshadow the rest of the cast’s decent efforts and proves to be one of the film’s biggest accomplishments. But what truly sets ‘Detective Story’ apart from similarly themed films is its direction. From the grotesque beauty of its mysterious and stomach turning opening sequence to Raita’s hilarious encounters, from the gritty crime scenes to the terrifying climax, Miike proves for once more that he is an extremely talented filmmaker. He wisely sacrifices his knack for highly stylized editing and, in this way, he manages to create an otherworldly and creepy atmosphere, something that is only intensified with the brilliant use of low key lighting, hand held camera work and Kôji Endô’s haunting music score. He also manages to balance the script’s tonal changes brilliantly and he succeeds in keeping a fine balance between the macabre tone of its story and the off-beat hilarity of the movie’s characters. But the film’s most stunning accomplishment is the scene in which Raita visits an incarcerated serial killer, hoping that he will provide him with clues about the murders he is investigating. The aforementioned scene is so remarkably made, so spine-chilling and bloodcurdlingly terrifying that it rightly deserves to rank among Takashi Miike’s best work. 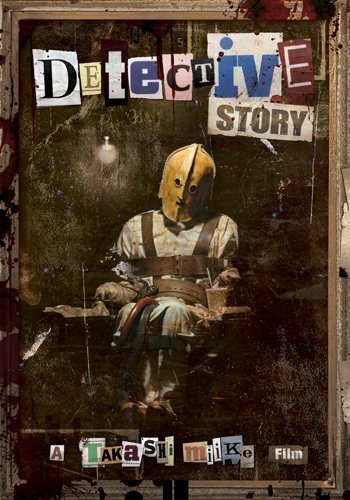 Although ‘Detective Story’ doesn’t earn points for originality, it remains an entertaining, self-parodying and well-directed genre film that reminds us that you don’t need a big budget as long as you have a unique vision.